It’s all about getting closer to my roots. I come from an environment of restaurants and day-of production. My wonderful family has built a fantastic machine around me but it takes me away from some of the creative fun that I steeped in. I hope you will join me for a night of tasty delights where I can get back to some of my fun of creating, plating, and serving wonderful desserts for you and yours. March 1st, 15th, and 29th we are hosting a set of reservation-ticketed events. 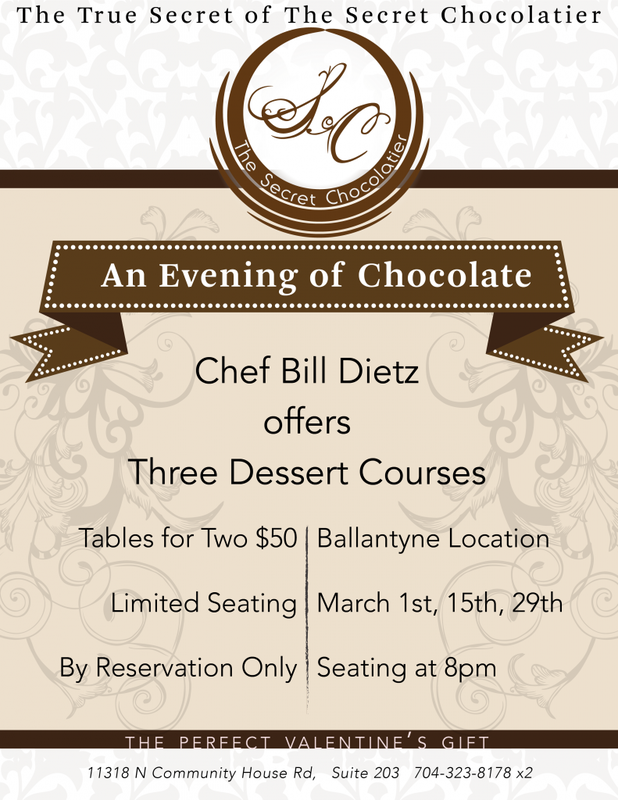 Join me at our new Ballantyne location for a three courses of desserts. Our first seating is almost sold out, and the rest are half way there so we encourage you to book your seat now or you’ll have to wait until everyone gives me leave to do this again. Which hopefully won’t be too long, but firsts are always so much fun! Each ticket is for 2, so it could be for anyone who needs a special night out. Date night? Daddy-daughter? Friends with a sweet tooth? An indulgent moment for all. If you have friends let us know and we’ll seat you all close but we are trying to keep it paired. A dinner for a sweet tooth? You bet. We start you off with a light plate of nibbles, dessert tapas if you will. Then bring out our “meaty” entree course, followed by something palate cleansing that will lead you into our “dessert” course. A little doggy-box for you to take home any items you want to save for later–might even have a take home treat too. We’re recommending people eat a light dinner beforehand for when you come to us we will fill in the rest! Email my daughter Robin or call us at 704-323-8178, dial our ‘operator’ extension at 0 and we can hold your spot over the phone too. Tickets must be paid for before the event. I hope to see you and serve you some of my favorite desserts plated for you! Bill learned his craft at the knee of his Pennsylvanian grandfather, then pursued career as pastry chef. That pursuit carried him over thirty years from Myrtle Beach’s Grand Strand and Columbia, South Carolina to the Sonoma Group in Charlotte, North Carolina, where he worked as executive pastry chef for three acclaimed restaurants. 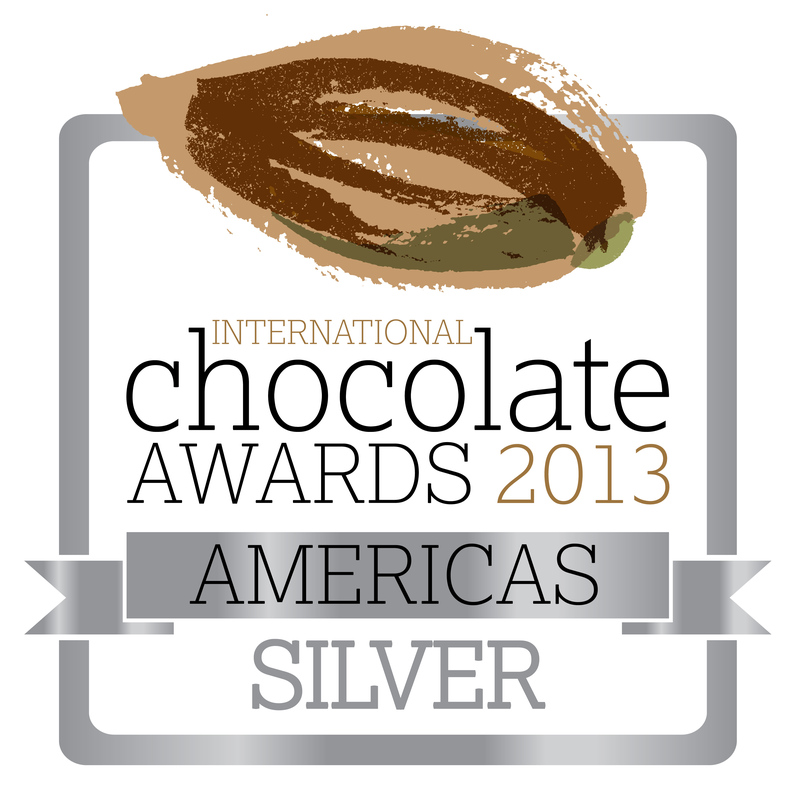 He longed to work with chocolate more intensively and now does so in our shop. When you experience a chocolate cake or brownie pop, just think about it--you’re having a chocolate moment that was thirty years in the making.